Rosewood refers to any of a number of richly hued timbers, often brownish with darker veining, but found in many different hues. All rosewoods are strong and heavy, taking an excellent polish. All genuine rosewoods belong to the genus Dalbergia, this wood has a strong sweet smell, which persists over the years, explaining the name "rosewood". 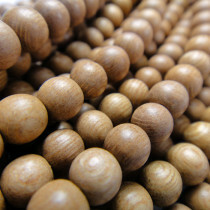 Rosewood Wood Beads Round 8mm (~50pce Strand) - 40cm/16'" Strand. 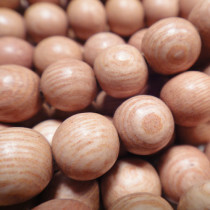 Rosewood Wood Beads Round 10mm (~40pce Strand) - 40cm/16'" Strand. 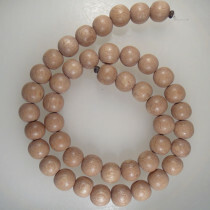 Rosewood Wood Beads Round 6mm (~66pce Strand) - 40cm/16'" Strand. 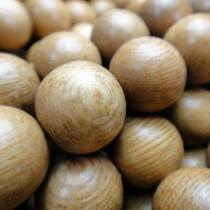 Rosewood Wood Beads Round 15mm (~27pce Strand) - 40cm/16'" Strand. 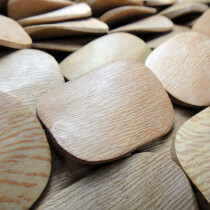 Rosewood Wood Beads Large Flat Twisted 30x40x6mm (~10pce Strand) - 40cm/16'" Strand.